Howard and Ellen Greene on set at the original off-Broadway production. Howard working with Ellen Green on the original off-Broadway set. 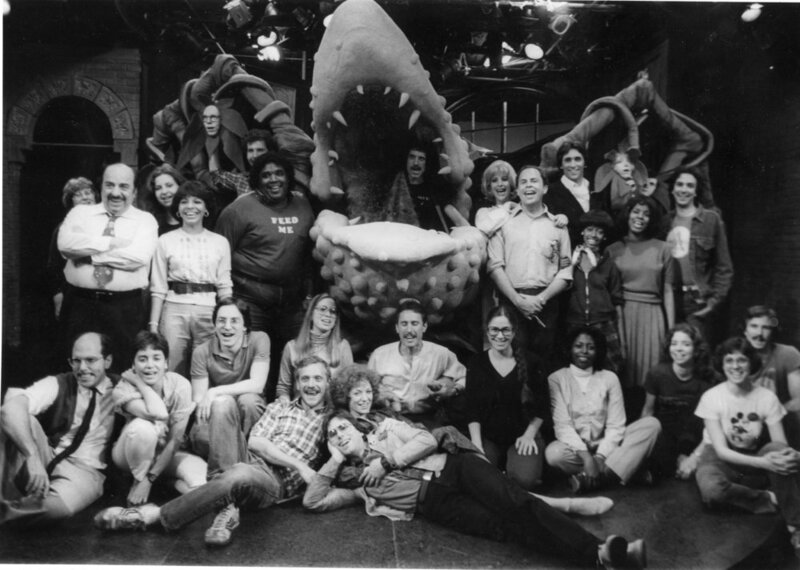 Since it opened at the Orpheum Theater off-Broadway in 1982, Little Shop of Horrors has charmed audiences in theaters and movie houses around the world. 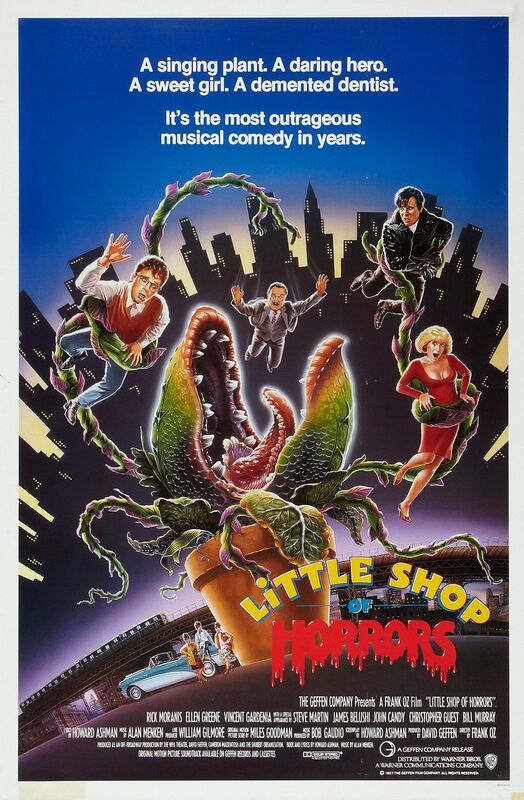 Based on Roger Corman’s super fast, super creepy, super cult hit film, Little Shop of Horrors is the story of Seymour Krelborn, a lovesick clerk in Mushnik’s Skid Row florist who finds finds fame, fortune and a whole lot more when he discovers a strange little plant with some odd eating habits. 1983 ad for the original off-Broadway run. 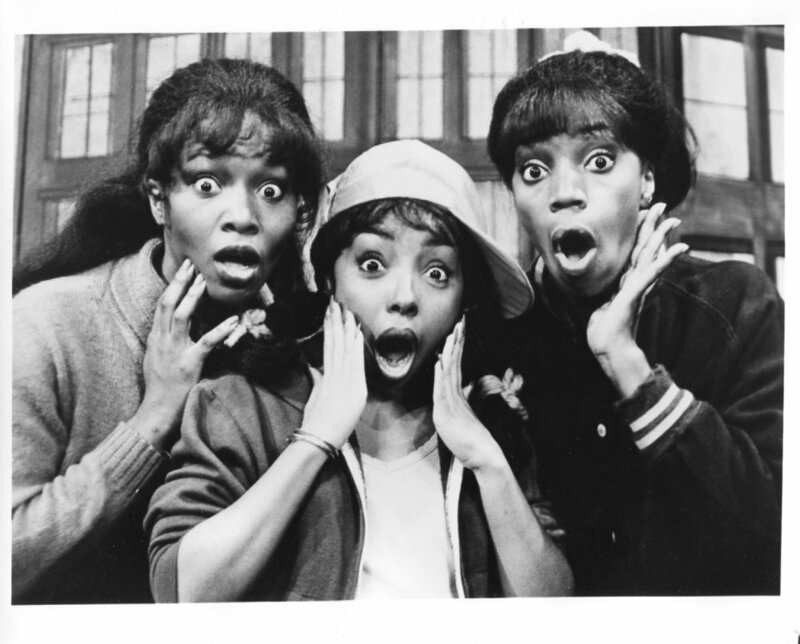 Howard Ashman’s passion project began as a seed of an idea when he was a Baltimore teen and first saw the cult Roger Corman film, The Little Shop of Horrors. Years later, as the artistic director of the off-off-Broadway WPA Theater, Howard acquired the rights to the movie. Enlisting the aid of composer Alan Menken, who had worked with him on God Bless You, Mr. Rosewater, Ashman began writing the book and lyrics. The show’s action opens on Skid Row as Seymour Krelborn finds that the strange little plant he picked up in the flower district needs a whole lot more than water to make it grow. I’ve given you grow-lights and mineral supplements. Indeed. The plant, Audrey II, named for the woman Seymour secretly loves, begins growing. And its demands grow bigger and bolder, as does the love between Seymour and the actual Audrey. But true love doesn't conquer all and Seymour resorts to murder, eventually losing everything to the dangerous bargain he made. Little known fact: Martin P. Robinson, the master puppeteer who created the design for Audrey II and was the first puppeteer to perform as Audrey II, is also a Sesame Street puppeteer, known for characters including Mr. Snuffleupagus and Telly Monster. Professional & amateur licensing available through MTI Shows.